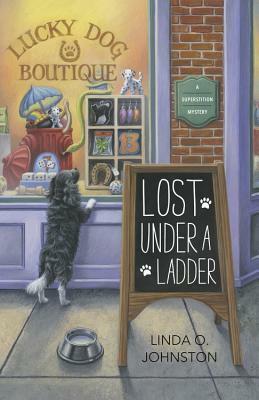 Lost Under a Ladder is an engaging light mystery…. I really enjoyed this mystery and I liked getting to know Rory and her dog, Pluckie…The mystery was well-written and engaging and I’m looking forward to spending more time with the residents of Destiny in future books. 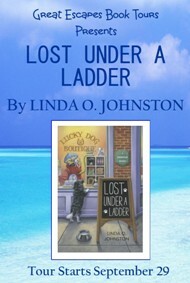 I love Ms. Johnston’s books and Lost Under A Ladder is a great start to what will be a very charming series. This is a cozy mystery. With lots of drama, good suspense, some action, and lots of superstitions. I was kept guessing back and forth to different suspects. The town is fun and whimsical and the characters endearing, definitely a small town and all that goes with that. Definitely a new series to watch. This is just the type of book I like to read. It was one I started and couldn’t put down. I could not wait to find out what was going to happen next! I like the author’s flair for storytelling. 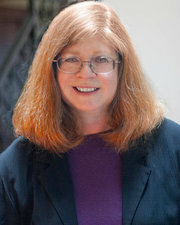 Her dialogue is smooth and her characters are well developed. I loved this story and can’t wait to see what is next for Justin, Rory, Martha and of course PLUCKIE! On Linda’s rafflecopter giveaway, under “Leave a Comment on the Blog You are Visiting Today”, it says…”Leave a comment for Author Christina Freeburn”. Shouldn’t it say leave a comment for Linda?